Ever wondered what it’s like to run a finger over the back of a prickly pink sea star? 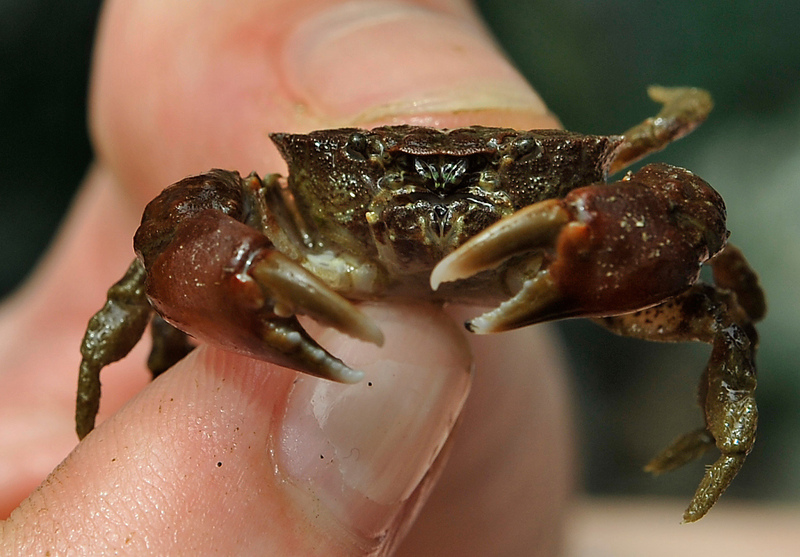 Or hold a tiny ocean crab in the palm of your hand? Find out at Owen Beach in Tacoma’s Point Defiance Park! Join Zoo naturalists and stroll along the beach at low tide, learning about the animals there. Explore the Shore is a fun and exciting opportunity to learn about the biological diversity of local beaches. Who can Explore the Shore? We recommend this walk for ages 5 and up. For the great adventurers, you may walk up to 1.5 miles round trip from Owen Beach south to the Boat House and back. Due to the nature of this project we cannot accommodate groups above 10 individuals. Please contact us for more information. Do I need to know anything about beach life? Nope! These walks are great for all knowledge levels. Trained naturalists will help you identify tide pool animals and record their location to create a baseline of what is found at Owen Beach. Groups will also receive a field guide to common animals found along the shore. Download the field guide here. Come prepared with sunscreen, a hat, and weather-appropriate clothing. Sturdy, closed-toed shoes are recommended for walking on a rocky beach with lots of barnacles. How do I sign up? How much does it cost? No RSVP is needed. Meet on the beach near the Owen Beach parking lot in Point Defiance Park and register at the event tent. Please check-in within 15 minutes of the published start time. Explore the Shore is FREE. Check in begins 15 minutes before the scheduled start time and ends 15 minutes after. At the meet-up times listed above, participants can get a brief introduction to the day before the walk begins. Beach walks last about one and a half hours, though you may want to explore the beach for a longer time. Take the Pledge! Sign the Explore the Shore Pledge to remind yourself to trek the tidepools responsibly. Looking for more adventure? 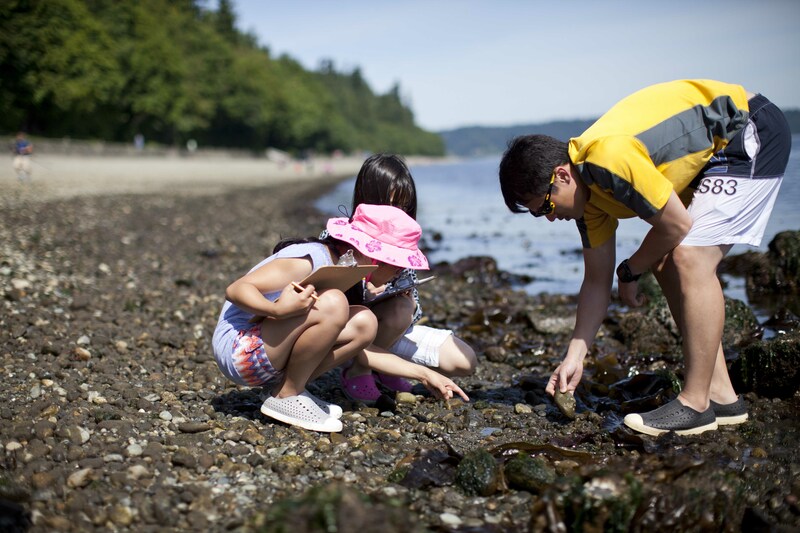 Check out Tiptoe through the Tidepools at Titlow Beach for more opportunities to explore beach life!